Hundreds of thousands of Africans were conscripted to fight for Britain and Germany during WW1. Hear rare recordings of Kenyan veterans of the conflict. 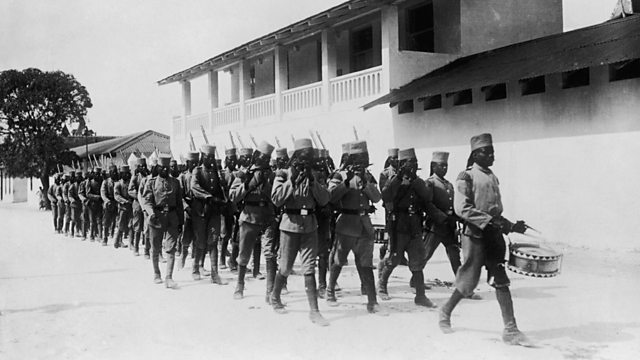 At the start of World War One, British and German colonial forces went into battle in East Africa. Tens of thousands of African troops and up to a million porters were conscripted to fight and keep the armies supplied. Alex Last brings you very rare recordings of Kenyan veterans of the King's African Rifles, talking about their experiences of the war. The interviews were made in Kenya in the early 1980s by Gerald Rilling with the help of Paul Kiamba.